Best LED Grow Room Glasses: Top Picks On The Market! Home / Plant Growing Tools / Best LED Grow Room Glasses: Top Picks On The Market! As an indoor grower, you usually focus on the plant’s health including nutrients, humidity, temperature etc. You should also focus on protection for eyes as well in LED grow room. You can use LED Grow Room Glasses to protect your eyes from the harmful lights comes from LED Grow Lights. Another major benefit of grow room glasses is, it will help you to see the actual color of plants. Many glasses on the market claim that they are best led grow room glasses of having the capacity to protect damaging light caused by LED Grow Lights while you are in a grow room. Obviously, some of these products are effective as led light eye protection, but not all. You need to consider some important things to chose the LED Grow Light safety glasses. – Do the glasses provide protection from UVA, UVB & UVC wavelengths or they protect you from only two primary UV light. – Types of lens, glass or plastic? – Do these glasses workes for LED lighting system? – Will you be able to see the real color of plants in LED lighting condition? Regardless of the lighting arrangement in your grow room, we reviewed some of the best led grow light glasses on the market today. So I believe, there will be a product here for you to solve your issue. Method Seven Operator LED Grow Room Glasses offers Color, clarity, and blocks all harmful wavelengths including UVA, UVB & UVC. Check It Now On Amazon! Manufacturer Carl Zeiss Vision ensures highest quality materials & unique design which makes these glasses certainly superior in the market. Eye fatigue or Eye strain is a concerning issue but you will not have to worry about while using this WORLD’S FIRST OPTICS optimized for LED lighting condition. Using Method Seven LED Glasses you will be able to see the natural colors of your plants. So you can monitor your plants correctly like the color of your plant leaves, disease, pests, rot etc. These offer 30 days money back guaranty if you are not satisfied. Protect eyes from harmful all three UV rays. Optimized for LED lighting environment. Provide a reflective surface against lights due to the silver coating on the lens. Ability to see natural plant colors. Comes with a microfiber pouch for convenient storage and easy cleaning. Method Seven have achieved trust from indoor growers & this version is one of the top pick in the market today. So if you are looking for a long lasting effective Grow Room Glasses you may try it. To bring comfort, clarity and safety of your eyes in LED grow room Apollo Horticulture introduce this premium line item. Due to Wrap-around style glasses, Apollo Horticulture UV400 LED indoor Grow Room Glasses can protect your eyes from all angles. The super lightweight design will give you hours of long-wear comfort. 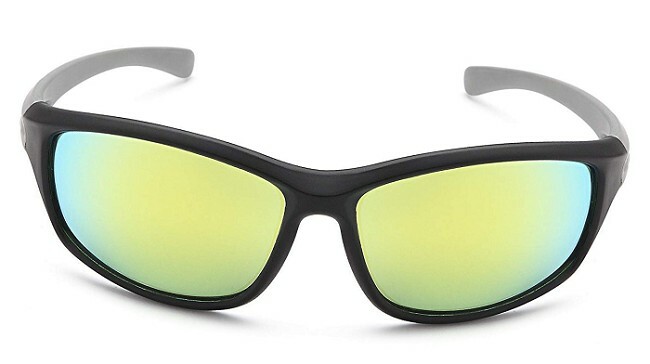 These Glasses blocks all UVA, UVB and protects eyes from infrared wavelengths, glare, and reflection while working in grow room, greenhouse, or growing space. Apollo Horticulture UV400 Glasses is very cost effective so these can be one of the best options for beginners. Ability to see the natural color of plants. To experience a pleasant, modernized and reliable grow room eye protection you can use Apollo Horticulture UV400 spending little money. This LED Grow Room Glasses have almost similar features to Apollo Horticulture UV400 – LEDGrower1 so I will not go detail. One advantage of Apollo Horticulture UV400 – LEDGrower2 is you can wear this over your regular prescription glasses. So, I will recommend this product who have low vision problem & need to use regular prescription glasses. Who doesn’t have low vision problem Apollo Horticulture UV400 – LEDGrower1 is perfect for them. VIVOSUN Indoor Hydroponics Glasses ensure a secure and reliable way to working in the garden under LED lighting systems. The best quality lenses and unique design will give you safety guarantee of your eyes from possible dangers. 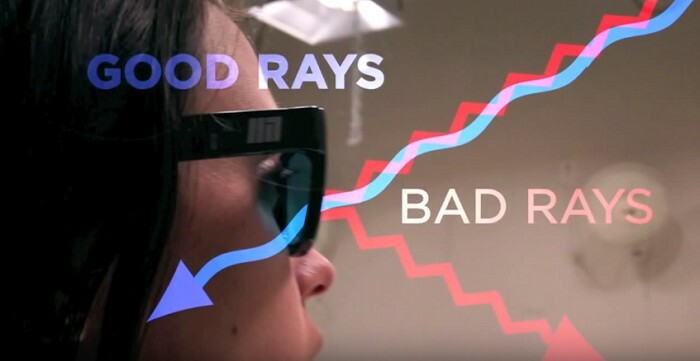 These glasses block UVA & UVB lights comes from LED Grow Lights because it specifically designed for led lights. VIVOSUN provide you a natural view of your plants in grow room. Suitable for LED lighting systems. Fulfill ANSI Z87+ and CSA Z94.3 safety standards. Offers 180 degrees of distortion-free, unobstructed vision. Wrap-around lens design for superior coverage. VIVOSUN LED Grow Room Glasses are suitable and comfortable for your eyes in grow room due to clear vision and protection. So I believe to wear them allows you more time in the room attending to the plantation. SPECIFICALLY OPTIMIZED for LED grow room which acts as a barrier between your eyes and all harmful lights including UVA & UVB rays. Exceptional color-balancing and anti-glare coat on the lens provide a very clear image of your surroundings so you can improve plant care, makes easy to recognize threats to your, and take necessary steps. With a lightweight half-jacket frame, Happy Hydro LED UV Protective Glasses reduce glare and eye strain while increasing vision stamina. Its Wrap-around design & comfort fit frames provide superior coverage as well as allow you to wear them for hours. 100% UVA and UVB protective glasses. Superior optics for a higher level of comfort. Comes with convenient carrying case & Microfiber care cloth. Can use this in many different types of lighting arrangement. Protective features and stylish design are just two ways to explain grow room glasses. Happy Hydro UV Protective Glasses protect your eyes regardless of lighting type in your indoor garden. Besides this, it comes with incredible design & durable structure. So you can try it. If you don’t want to use a LED Grow Light eye protection while working under LED lighting system you can turn off your lights while you are in the room. You may be a beginner & don’t want to spend for Grow Room Glasses but keep in mind it’s important to protect your eyes from the beginning. So I believe as a LED Grow Light user you will choose a suitable product for you. I think if anyone doesn’t have a budget limitation, may choose Method Seven Operator LED Grow Room Glasses. But my concern is, do these Glasses work in other lighting arrangements like HPS & MH? Because I replaced maximum HPS lights by LEDs but have some HPS lights in my garden till now. Thanks Crawford for your feedback. Sure, you can use Method Seven Operator LED Grow Room Glasses all lighting arrangements including LED, HPS & MH. It’s actually a cool and useful piece of info about LED Grow Room Glasses. I am satisfied that you shared this helpful info with us. Please stay us up to date like this. Thanks for sharing. Tell us about your interest. We’ll write for you. BESTVA 1000W LED Grow Light Review: Why Should I Invest? Grow Light Park is a participant in the Amazon Services LLC Associates Program, an affiliate advertising program designed to provide a means for sites to earn advertising fees by advertising and linking to amazon.com, amazon.co.uk, amazon.ca and any other website that may be affiliated with Amazon Service LLC Associates Program.